WHY IS IRELAND DIFFERENT FROM OTHER COUNTRIES IN THIS? My wife, Finola made an interesting speech last week to the Iona Institute, an Irish Think Tank that focuses on family policy. She drew attention to the increase in unemployment in Ireland and to the fact that this has fallen disproportionately on men and boys, a phenomenon that does not seem to appear in other European countries. I believe the longterm social consequences of this will be severe, particularly the way it will affect families and the upbringing of future generations. “I would like to raise today a very important social issue whose consequences will be felt for years to come and which remarkably has attracted no attention from the media, academics or Politicians in this country. The weight of this recession both in Ireland and the United States has fallen most heavily upon men. 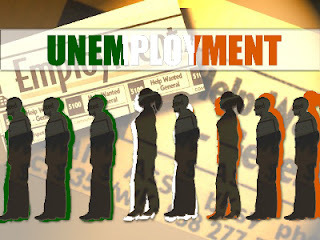 In the United States men have suffered roughly three quarters of the 8 million job losses since the beginning of 2008. There, male dominated industries ( construction, manufacturing) have been badly hit while health care and education – which employ women, have held up relatively well. In Ireland, the male unemployment figure is 17.8%, whereas it is 10.9% for women. This figure is in sharp contrast to all other European countries, where the rates of unemployment are roughly equal. It is also in contrast to the situation in Ireland in 2007, when male and female unemployment rates were virtually the same. This difference is found among all age groups . Of the under 25 year olds who are unemployed in Ireland 233,000 are male and 123,000 are female. Unemployment is difficult for both men and women. For men, whose self identified role in society is defined by what they do outside the home, unemployment is particularly traumatic. Various studies have described the erosion of their identities, the isolation of being jobless and the indignities of downward mobility. Then there is the financial and emotional strain which can corrode family life. Men seem to be more vulnerable than women in how unemployment affects them. This gender imbalance in the unemployment figures in this country provides a profound challenge to marriage. Kathryn Edin, a professor of Public Policy at Harvard and an expert in family life, was quoted recently in The Atlantic as saying that marital relationships, where men are jobless, are often filled with conflict. Even today, she says men’s identities are far more defined by their work than women’s and both men and women become extremely uncomfortable when men’s work goes away. In case one might think that there is a lower female unemployment rate in this country because girls are emigrating more, emigration from Ireland among males is about 30% higher than among women. Some may argue that this is due to the fact that Irish men suffer disproportionally from the construction industry collapse. Spain has also had a similar construction industry collapse, and the gender difference in unemployment there is not like that in Ireland at all. The first is that the Irish Educational system has done a much better job preparing young women for the job market, than it has young men. I suggest that we need a serious study of why Irish education is failing young men, and what we can do about it. Clearly the problem is different here to that in all other EU countries. We should look at what is good about the educational experience of girls in Ireland, and see if it can be adapted for boys too. I think also that the gender studies departments of our universities and regulatory bodies ought to turn their attention to this Irish problem. Gender studies need a new focus. I suggest also that Irish men and boys also have to ask themselves some hard questions. Are they making the right subject and career choices? Are they prepared to think differently about their ideal job? Can they learn something from the relative success of women? Finally, I am calling on the National Economic and Social Council to initiate a study to find out why unemployment is so severely affecting men in this country. We must be willing to discuss this issue on the basis of its practical effect on family life, in the here and now, rather than on the basis of some ideological principle about equality.